The pitching is deep and strong. The defense seems to be solid. The offense looks to be loaded with potential. There's also plenty of experience around the diamond. 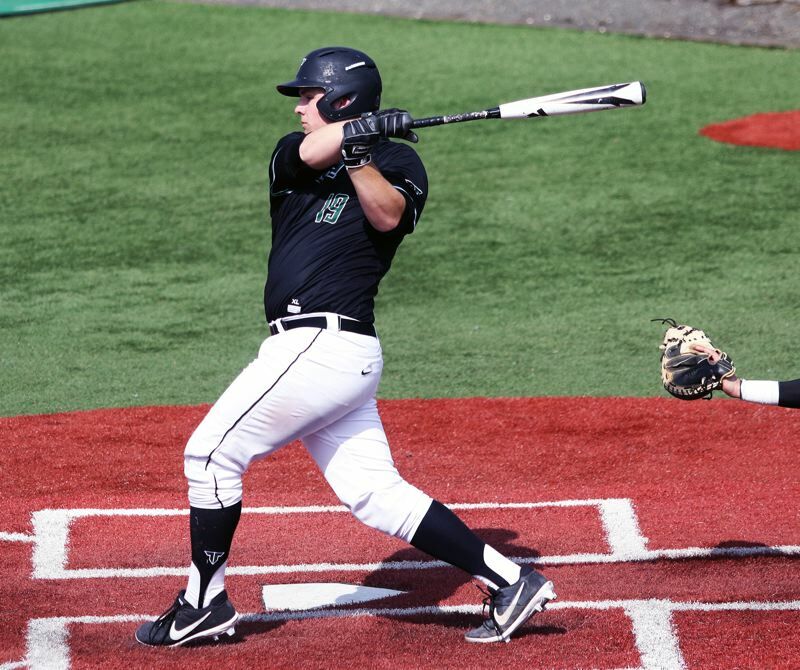 With all of that in mind, the Tigard High School baseball team is ready to go as it jumps into Three Rivers League play for the 2019 season. "I anticipate that we will compete for one of the three playoff spots in our league," Tigard coach Tom Campbell said. "Our infield defense should be solid. Offensively we have shown potential. We are deep in pitching and expect the senior pitchers to do the bulk of our pitching." The Tigers also have a strong group of returning players from last year's squad that finished in fifth place in the Three Rivers League standings at 10-7, while going 18-10 on the season. Among those returnees is senior C.J. Rivers. Last year, Rivers was a first-team All-Three Rivers League selection at first base and a second-team all-league pick as a pitcher. Rivers is part of a veteran pitching staff, which also includes senior left-hander Sam Gerkman, senior Lance Kreisberg and senior left-hander Fletcher Ahl. Gerkman was a second-team All-TRL pick on the mound last year. Seniors Bobby Carter and Cameron Laroche, a transfer from Newberg, could also see action on the mound. Ahl will also play in the outfield, where he was an honorable mention all-league pick a year ago. Kriesberg, a second-team all-league designated hitter last year, will play in the infield when he's not pitching. Carter could also play in the outfield. Laroche, an honorable mention all-league pick as an infielder last year, could see action at catcher. Other varsity returnees fro the Tigers include junior infielder Ethan Clark, senior catcher/infielder Caden Stinson and junior outfielder Tyler Penn. Newcomers to the Tigard varsity roster include senior outfielder C.J. Hilgaertner, junior catcher Ben Barbee, junior catcher/infielder/pitcher Mikey McNamee, junior outfielder Lucas Underwood and sophomore infielder/outfielder Josh Schleichardt. The play of the group of seniors could be key for the Tigers this season. "Collectively, the seniors are the leaders and is a very strong group," Campbell said. "I expect each player to make contributions through out the season. Rivers is an outstanding hitter, as is Kreisberg, who is also very tough on the mound. We have a little of everything except team speed." As for the Three Rivers League this season, Campbell sees plenty of strong competition ahead for the Tigers. "As usual, our league will be very tough," he said. "There are a lot of good players in the league. It will be a dog fight." The Tigers opened their Three Rivers League schedule on Tuesday with a 3-2 loss to Lakeridge in a game played at Tigard High School. Ahl hit a home run for the Tigers in that game. Kreisberg went 2 for 3 at the plate with an RBI. Schleichardt added a double. Rivers pitched six strong innings, giving up one run on two hits, while striking out six and walking four. The teams will play the second game of their three-game league series on Wednesday, with a 5 p.m. game at Lakeridge High School. The teams will finish the series Friday with a 4:30 p.m. game at Tigard. The Tigers will open a three-game league series with Oregon City on Monday with a 5 p.m. game at Oregon City High School.